Pokie machines with Oriental themes are always popular, with their brightly coloured reels, images that are usually based on traditional culture and even a nice soundtrack to go along with many of them. 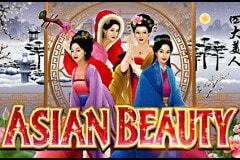 Asian Beauty, from Microgaming, is just such a pokie, and comes with the bonus of a couple of side games plus the 243 'Ways to Win' system that many of the biggest titles from this supplier have featured. Maybe a game based on a more modern and representative Asian theme would be welcome, but Asian Beauty is pretty successful, so who am I to argue? ‘’What does 243 Ways to Win mean?’’, you may ask. Well, I’ll tell you. Instead of selecting how many pay lines to bet on, all of the potential winning combinations are covered, with a 0.01 bet being automatically multiplied by 30x, making the minimum wager per spin 0.30, while the maximum is 150.00. 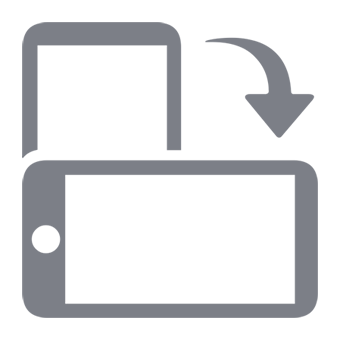 Rather than needing symbols to line up on an activated pay line, a winning combination will occur each time identical symbols appear on adjacent reels, starting from reel number 1 on the left hand side. Although this happens quite frequently, the downside of this is the relatively low payouts, but hey, you can’t have it all can you? Such low volatility machines also have the advantage that they tend to stop players from getting bored of spinning and spinning the reels for no rewards. The Asian Beauties of the title are four attractive young ladies who pop up among the symbols and feature in one of the bonus rounds, while adding further visual appeal are images of lotus flowers, cherry blossoms, and various coloured finger bowls. Naturally, there are a couple of additional symbols that make the game a little more interesting than just spinning the reels and hoping for a winning combination to appear. A wild symbol that’s simply the Asian Beauty logo, will act as any other, except the scatter if it will complete a winning combination. It will also pay from 10 right up to 2000 coins when it lands on enough adjacent reels. Other nice touches are a wooden chest scatter symbol that starts off a lucrative free spins round. Three scatters equals 10 free spins, four of them will start 15 spins, and if five scatters land at once, then 25 will begin, all with doubled prizes throughout them. If at least three scatter symbols appear during the round, then more will be added to the end of those that are currently playing out. The scatter also pays out wins on top of any gained in the free spins round, with 5x, 15x and 100x the bet per spin amount heading to players for getting three, four or five scatters respectively. The highlight however, is the randomly triggered Mirror Bonus game, that’s nice and easy to play but carries the potential for some decent wins. Players will be taken to a second screen which is made up of a grid of twelve mirrors, surrounded by the four ladies, each of which has a multiplier prize attached to her. By clicking on the mirrors and revealing three matching beauties, players will win the prize associated with her, which can be up to 25 times the total bet amount. A Beauty or a Beast of a Game? Asian Beauty has a broad appeal, mainly because it manages to look good, with a popular theme, while also being graced with a couple of generous bonus rounds. People shouldn’t come here expecting big wins however, as like all 243 Ways to Win pokies it’s more about steady prizes, but as long as that’s understood beforehand, it shouldn’t be an issue. Downsides are few and far between, but it’s a shame that the free spins run standard reels, rather than ones enhanced with extra wilds or something, although doubled wins are still nothing to complain about.